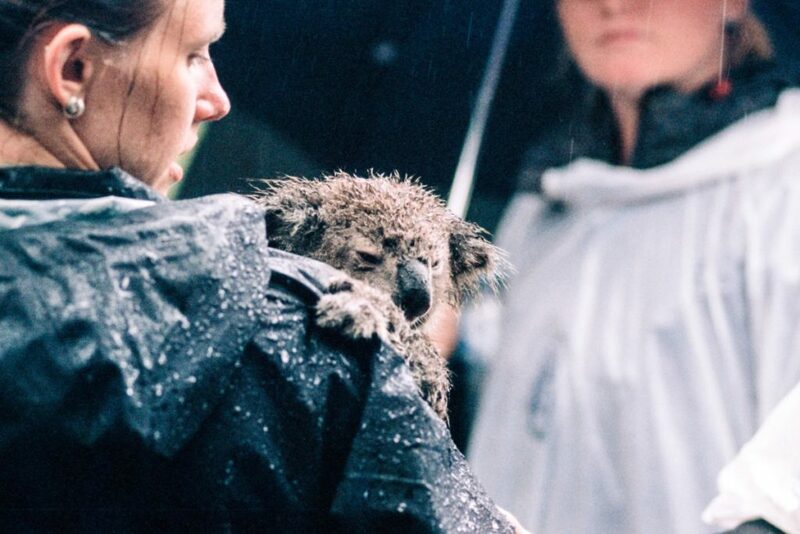 The cute fluffy ears and soft grey fur is the first thing that pops into our heads when we hear the words koala bear. But there is a lot more to these little creatures than first meets the eye. Their specially adapted bodies and lifestyles have made these the perfect animals to live in the Australian wild. So what is it that particularly makes these creatures so wonderful? Let’s start with their name. The koala isn’t, in fact, a bear at all, but is actually related to wombats and kangaroos. They get their name from looking like a teddy bear, but just like their marsupial cousins, they have pouches where their young live for six months until they are ready to survive in the outside world. The name koala comes from the Aboriginal word that means ‘no drink’, as people believe the little animals get all their moisture from their diet. And talking of diet, the koalas actually spend their days eating over 2 lbs of eucalyptus leaves – they have quite the appetite. When they fully mature a koala will pick out its home trees which is an area that only that Koala lives. Sadly though, the little bears are starting to lose their habitats as the trees are cut down to make room for farmland, or destroyed in forest fires. Over the last ten years, there has been a 90% decline in numbers with now only around 43,000 koalas left in the wild. They can only live in Eastern Australia due to the habitat, so conservation of the koala is becoming an important issue. While eating eucalyptus may sound like a new health trend, the plant is actually poisonous to most other animals. So why can a koala munch down on it? Well, they have a particular organ, called a caecum, that helps break down the leaves without causing the marsupials any harm. We humans have one too, but the koalas’ is much more prepared for their diet. If you were to stretch a koala’s caecum out it would measure at around 200 cms! While on the outside all koalas may look alike, they are in fact different across Australia. The bears living in the south have longer, thicker coats to help protect them in the cold winters, whereas their northern relations have smooth, short fur to keep them cooler in the long, hot summers. However, they all have those striking ears and button noses that make you want to give them a huge cuddle. But be warned – behind the cuteness is sharp teeth teamed with dangerous claws. Their bodies resemble the shape of a pear to make sure they can sit comfortably and safely while in their tree homes, but that’s not all. They have specially adapted paws with opposable thumbs so they can get a tight grip while scaling the trees. There is plenty of time for koalas to get their shut-eye as they spend around 19 hours asleep. They are nocturnal animals, but their long sleep schedule means they also spend a lot of the night snoozing, too. Don’t underestimate these little guys though as they can run as fast as a rabbit – around 20 mph – but are also strong swimmers. There’s nothing that can stop these creatures once they get going. 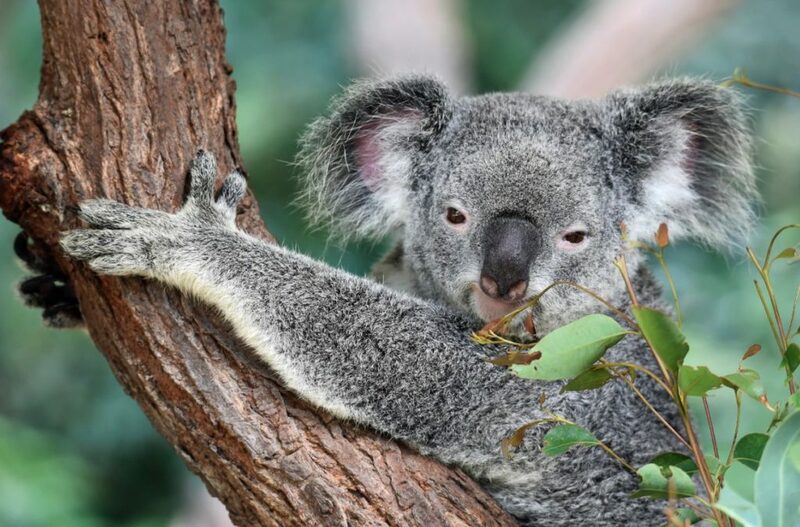 In the wild, so long as there are no dangers to their habitat, a koala can live for up to twelve years, while in zoos they can live on for 16 plus years. They are sociable little creatures, but not too friendly as they like to keep to only one koala per tree – perhaps it was something they said? While they may look like small little cuddly creatures, koalas can, in fact, reach up to nearly three feet long when fully grown; that’s a lot bigger than the teddy bear on our bed. Sleeping all day, eating so much when you’re awake, and liking your space – you know, we think we might be more similar to koalas than we once thought! But preserving the koala bear is an essential part of saving the planet as the little creatures may soon have nowhere to live. And after hearing about their lives, we definitely want to make sure they’re here to stay.